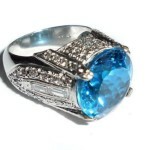 This is a fantastic solid platinum and diamond ring with a massive blue topaz center stone. It is marked “PLAT” and has been tested and is guratanteed to be solid platinum. The ring is quite heavy, and weighs 13.7 grams. 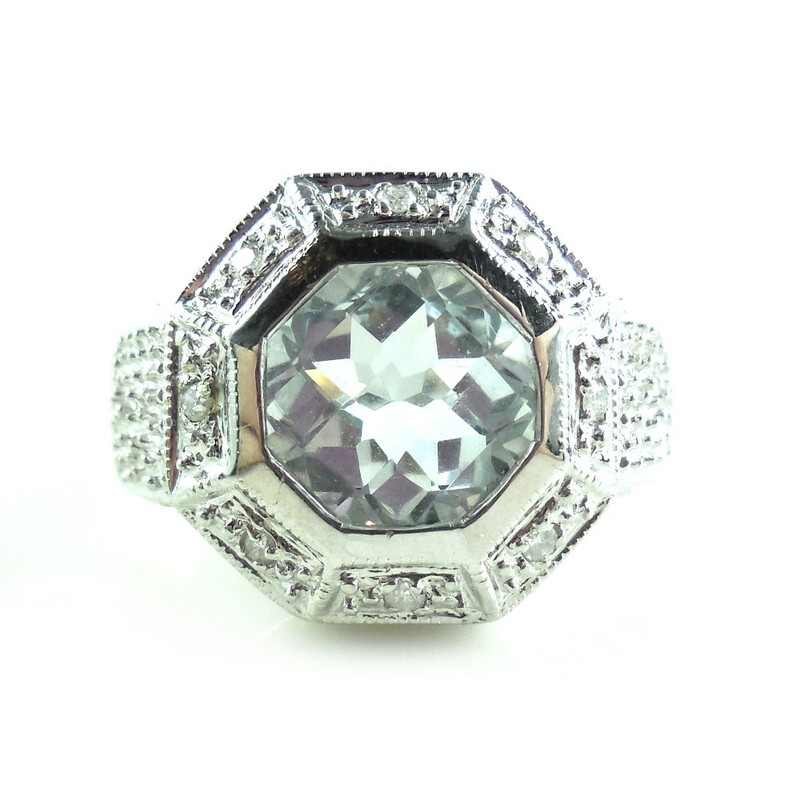 The size of the ring is 6.75 and the total carat weight is 11.45 carats. The height from the finger line is 3/8 of an inch, and makes the ring appear quite tall when worn. 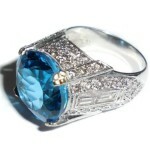 It has a fantastic 13mm 10.25 carat round radiant cut blue topaz with crisp and vivid color. 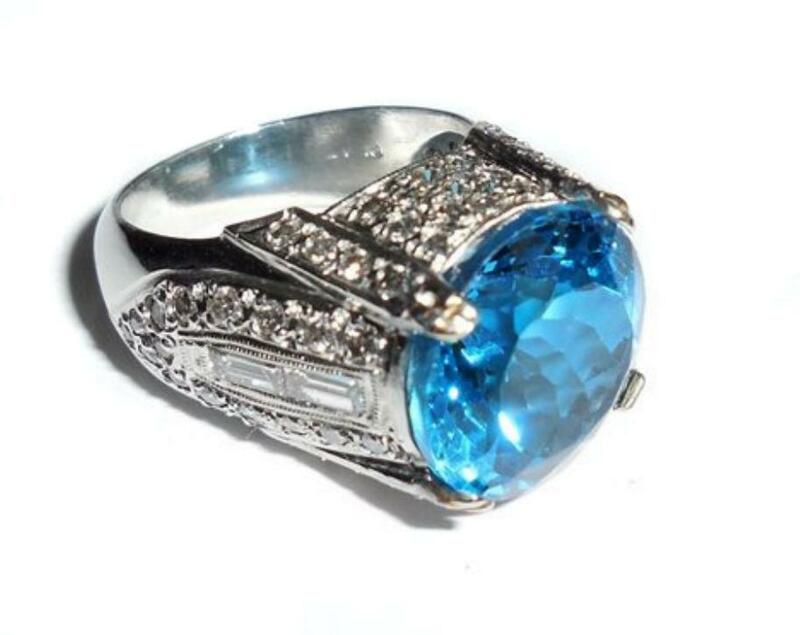 The topaz is flanked by 1/2 carats of natural, non-enganced, fine quality SI1 diamond which have H/I/J near colorless color. 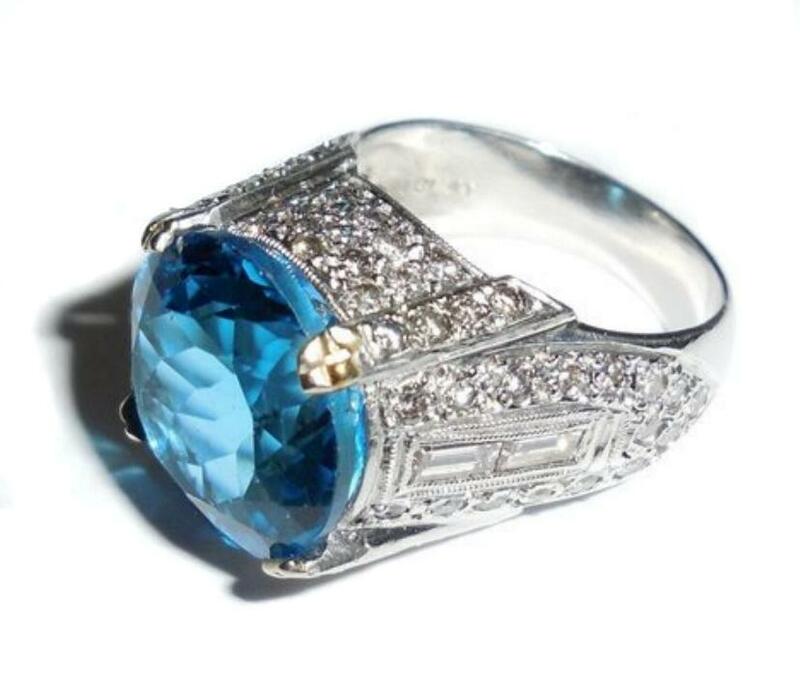 This is an outrageously fantastic solid platinum and diamond ring with a beautiful blue topaz stone and would make an excellent addition to your vintage jewelry collection. John C Rinker (JCR) 14k Gold Solitaire Ring 2.4 CT Checkerboard Aquamarine Diamond Ring Metal: Solid 14K White Gold Setting: Fancy Octagon Gemstone: Aquamarine Cut: Fancy Checkerboard Total Gemstone Carat Weight: 2.4 CTS Accent Stones: Diamonds Ring Size: 7 Weight: 7 gr Condition: Excellent, Very gently used. 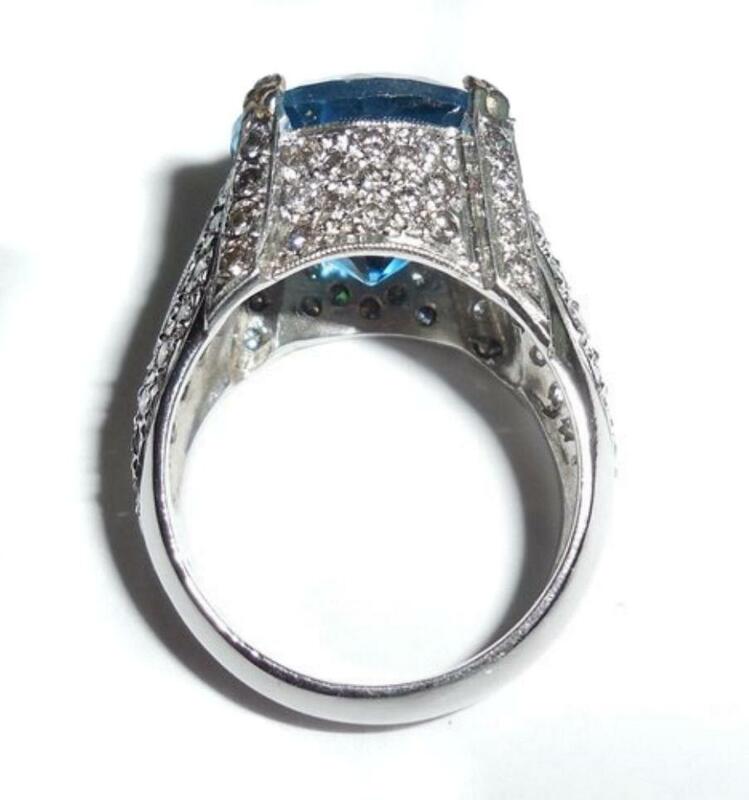 No repair Absolutely gorgeous 14k Gold Checkerboard Aquamarine Diamond Ring. See our photos and detailed product description below for more information! This is a stunning modernist sterling silver signed Flli Menegatti, Italian designer ring in excellent condition. It is marked and Guaranteed to be original Menegatti and all solid sterling silver. It is beautifully made with black enamel and silver oblong ovals in the form of a sharply pointed dome. Very nice, very showy. ***Any marks you may see on the photo are from glare and photo flash. 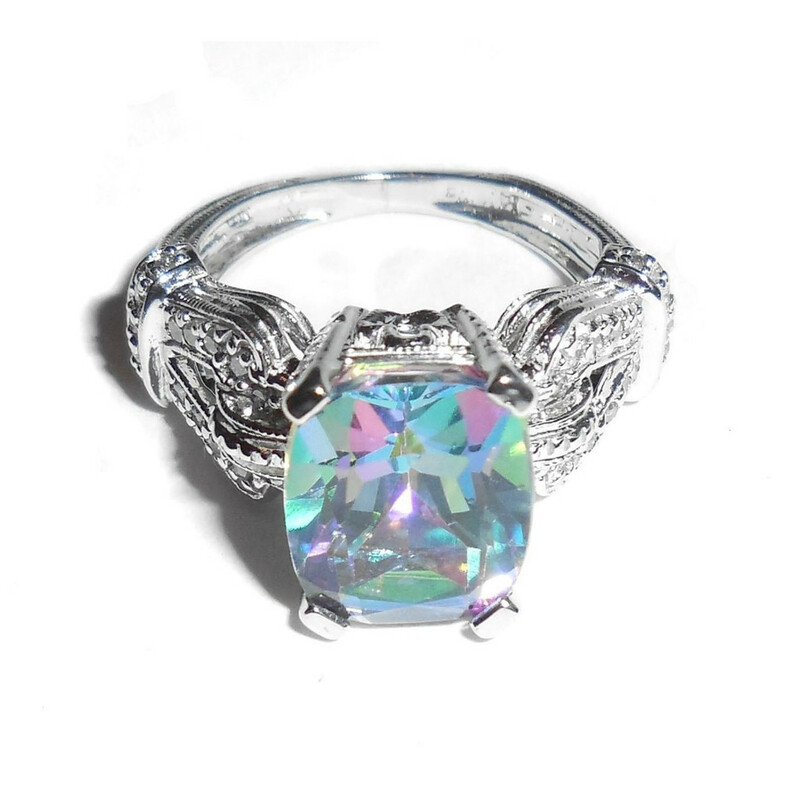 This ring is Excellent Overall Condition, gently used and has a few light faint surface scuffs to the silver. Still clean and crisp. No wear damage to the enameling. No wearing down to the sterling silver.....still nice and full and thick. No dents or dings or deep scratches. Ring size is 9. Height is 7/16″. 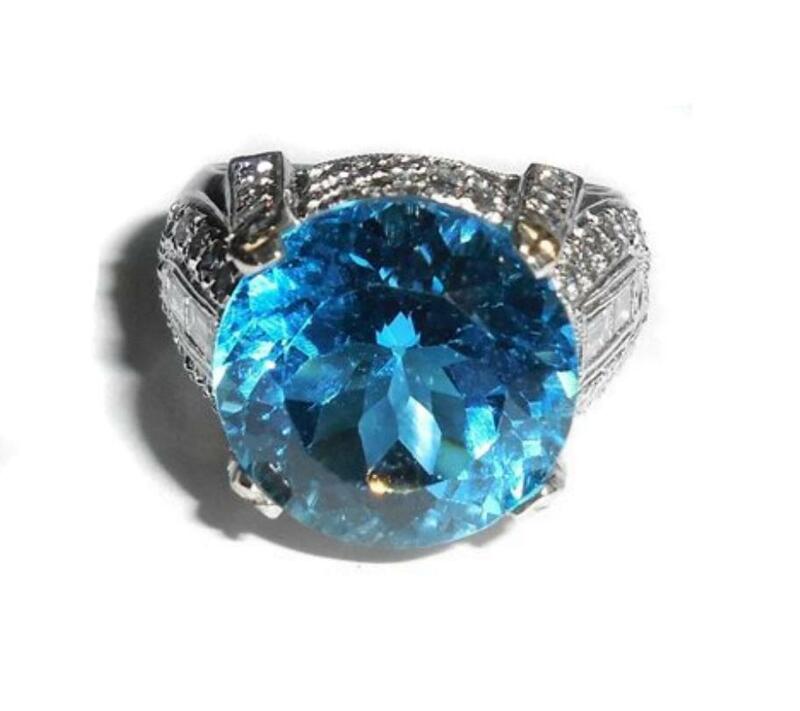 This is a stunning Menegatti ring for your collection. 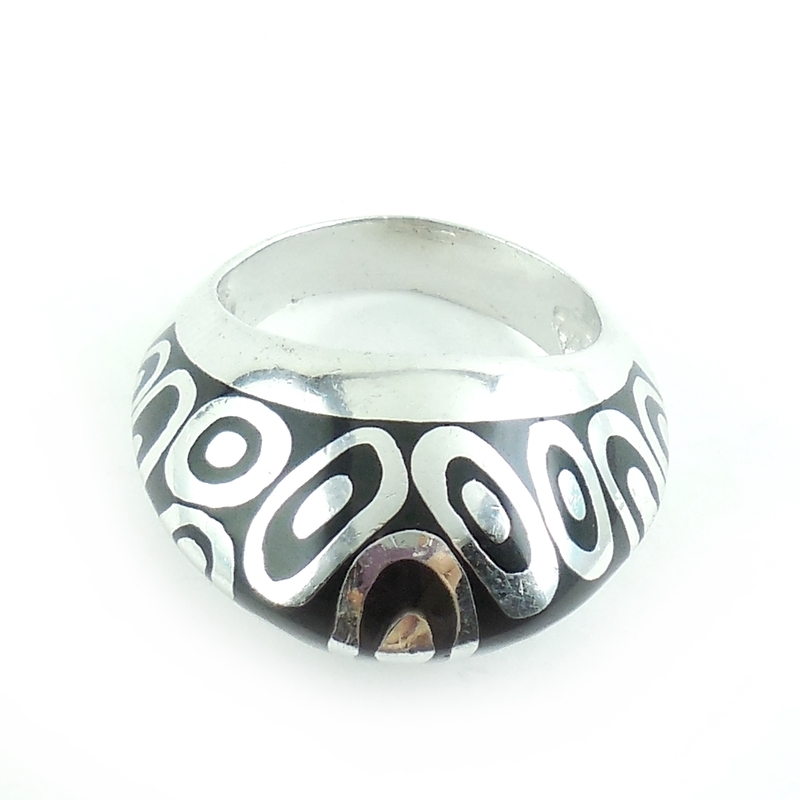 Hard to find in black and silver with the ovals particularly in this extra large size! This is a beautiful original, Flii Menegatti sterling silver and 18K yellow gold fancy amethyst ring. It is chunky and beautifully made. The amethyst is stunning, it has lovely faceting and lovely color. Ring size is 8. Condition is extremely excellent, very gently used. No bites or chips or abrasions to the stone. No crimps on the bezel. No dents or dings. 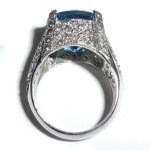 It has expert quality workmanship and the sterling and gold are substantial. Weight is 10.7 grams. 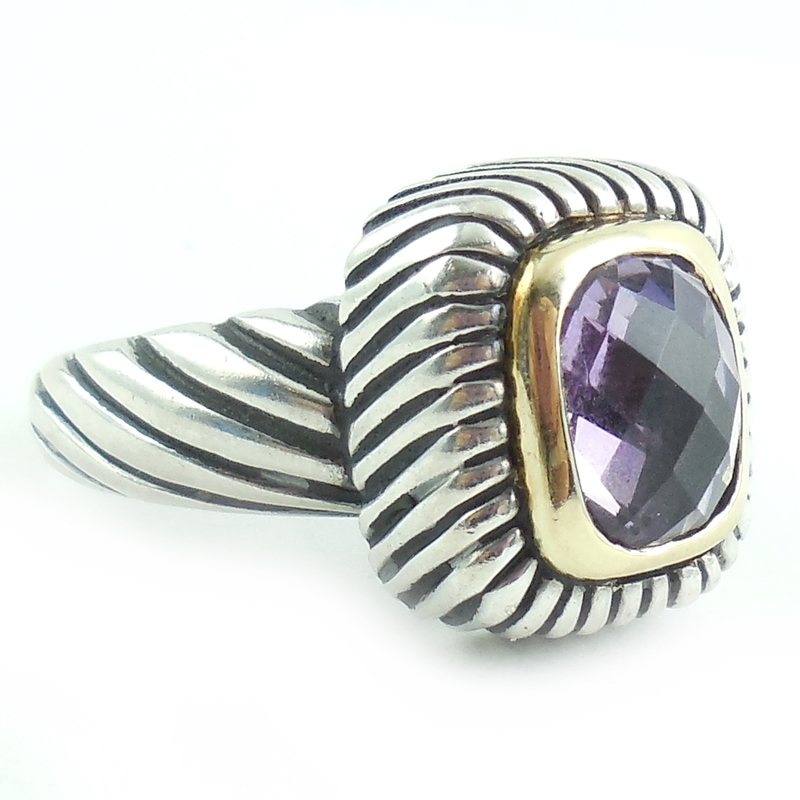 This is a beautiful gemstone amethyst ring by a very well known designer for your collection.